Uluru-Kata Tjuta National Park is known for nature, museums, outdoors, trails, and classes. Your plan includes some of its best attractions: explore the striking landscape at Uluru, hike along Uluru Hiking Path, stroll through Kuniya Walk, and admire the verdant scenery at Valley of the Winds. For photos, reviews, other places to visit, and tourist information, you can read our Uluru-Kata Tjuta National Park driving holiday site . Mumbai, India to Uluru-Kata Tjuta National Park is an approximately 20.5-hour flight. You can also do a combination of train and flight; or do a combination of flight and car. The time zone difference when traveling from Mumbai to Uluru-Kata Tjuta National Park is 4 hours. Traveling from Mumbai in May, you will find days in Uluru-Kata Tjuta National Park are slightly colder (28°C), and nights are colder (12°C). Wrap up your sightseeing on the 11th (Sat) early enough to travel to Melbourne. 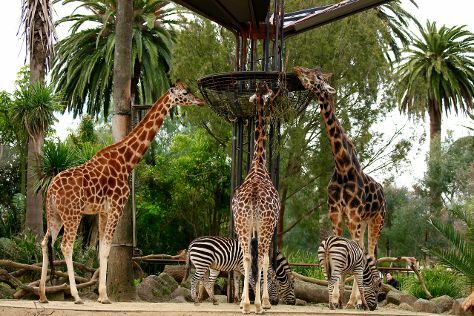 Bring the kids along to Melbourne Zoo and Werribee Open Range Zoo. The adventure continues: admire the natural beauty at Royal Botanic Gardens, take in panoramic vistas at Eureka Skydeck 88, steep yourself in history at Old Melbourne Gaol, and see the interesting displays at Melbourne Museum. For photos, reviews, where to stay, and more tourist information, you can read our Melbourne travel route planning tool . 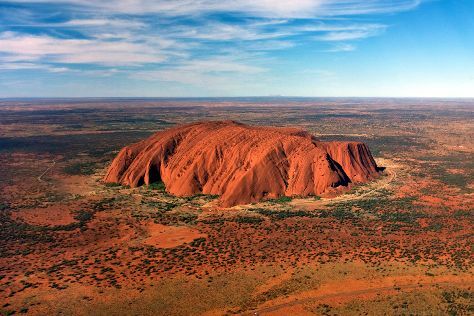 You can fly from Uluru-Kata Tjuta National Park to Melbourne in 5 hours. Alternatively, you can drive. In May, Melbourne is slightly colder than Uluru-Kata Tjuta National Park - with highs of 20°C and lows of 9°C. Wrap up your sightseeing on the 15th (Wed) early enough to travel to Sydney. 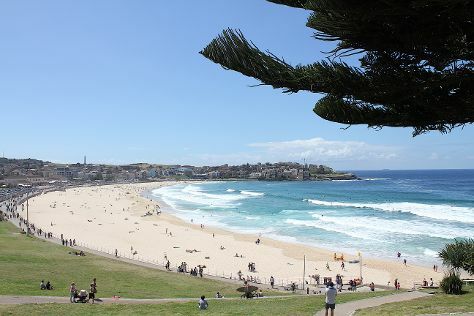 Kids will appreciate attractions like Bondi Beach and Manly Beach. The adventure continues: catch a live performance at Sydney Opera House, look and learn at Sydney Observatory, engage your brain at Powerhouse Museum, and take in the views from Sydney Harbour Bridge. To find ratings, where to stay, and tourist information, use the Sydney tour itinerary planning site . Getting from Melbourne to Sydney by flight takes about 3.5 hours. Other options: do a combination of shuttle and flight; or drive. Prepare for a bit warmer weather when traveling from Melbourne in May: high temperatures in Sydney hover around 24°C and lows are around 14°C. 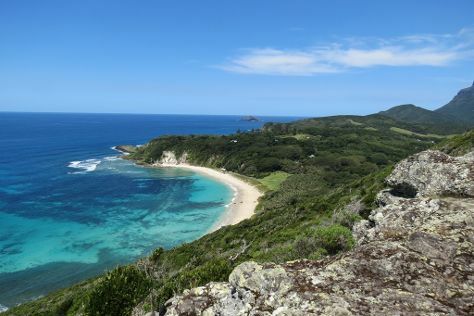 Wrap up your sightseeing on the 19th (Sun) early enough to travel to Lord Howe Island. Start off your visit on the 20th (Mon): take in the awesome beauty at Mt Gower, explore the striking landscape at Ball's Pyramid, and then kick back and relax at Lagoon Beach. Get ready for a full day of sightseeing on the next day: see the interesting displays at Lord Howe Island Museum, identify plant and animal life at Wildlife Areas, and then kick back and relax at Ned's Beach. For ratings, more things to do, photos, and tourist information, refer to the Lord Howe Island day trip planning tool . You can fly from Sydney to Lord Howe Island in 3.5 hours. Finish your sightseeing early on the 21st (Tue) to allow enough time to travel to Port Douglas. Family-friendly places like Scuba & Snorkeling and Hartley's Crocodile Adventures will thrill your kids. Spend the 23rd (Thu) spotting exotic species with a safari tour. The adventure continues: meet the residents at Wildlife Habitat Port Douglas and relax and rejuvenate at some of the top local wellness centers. For where to stay and other tourist information, read Port Douglas tour itinerary builder tool . Traveling by combination of flight and shuttle from Lord Howe Island to Port Douglas takes 7.5 hours. May in Port Douglas sees daily highs of 32°C and lows of 24°C at night. Finish your sightseeing early on the 24th (Fri) to allow enough time to drive to Cairns. Family-friendly places like Scuba & Snorkeling and Muddy's Playground will thrill your kids. Change things up with a short trip to Palm Cove Beach in Palm Cove (about 32 minutes away). Spend the 26th (Sun) wandering through the wild on a nature and wildlife tour. There's still lots to do: enjoy the sand and surf at Trinity Beach and take in the waterfront at The Jack Barnes Bicentennial Mangrove Boardwalk. To see other places to visit, ratings, traveler tips, and tourist information, you can read our Cairns sightseeing planner . You can drive from Port Douglas to Cairns in 1.5 hours. Alternatively, you can take a bus; or take a shuttle. In May, daily temperatures in Cairns can reach 32°C, while at night they dip to 24°C. Wrap up your sightseeing by early afternoon on the 28th (Tue) to allow time for travel back home.